Premier luxury townhome at Le Bijou, located in the heart of historic downtown Fort Worth, just steps from Bass Hall and Sundance Square and two blocks from the Intermodal Transportation Center. Personal elevator to all four floors including the roof top terrace. Gourmet kitchen features state-of-the-art appliances and large island, perfect for entertaining. Spacious open living area with soaring ceilings offers an abundance of natural light. Large rooms, beautiful crown molding and stunning hardwood floors. Numerous amenities including an attached two-car garage and private front entrance. 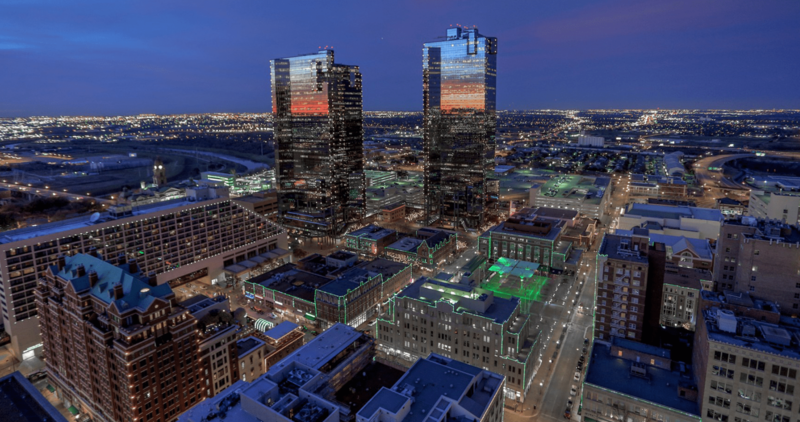 Picturesque skyline views of downtown Fort Worth. This is a must see if looking for a downtown living lifestyle.